David Whitehouse: The Climate Coincidence: Why is the temperature unchanging? | Watts Up With That? David Whitehouse: The Climate Coincidence: Why is the temperature unchanging? It seems probable that 2010 will be in terms of global annual average temperature statistically identical to the annual temperatures of the past decade. Some eminent climatologists, such as Professor Phil Jones of the University of East Anglia’s Climatic Research Unit, suggest the global annual average temperatures haven’t changed for the past 15 years. We are reaching the point where the temperature standstill is becoming the major feature of the recent global warm period that began in 1980. In brief, the global temperature has remained constant for longer than it has increased. Perhaps this should not be surprising as in the seven decades since 1940 the world has gotten warmer in only two of them, and if one considers each decade individually the increase in temperature in each has barely been statistically significant. Only when the warming in the 1980’s is added to that of the first half of the 1990’s does the change exceed the noise in the system. But what does this 10-15 year temperature standstill mean? For some it means nothing. Ten to fifteen years is too short a time period to say anything about climate they would argue pointing out that at least thirty years is needed to see significant changes. They also point out that this decade is warmer than the 1990’s and the 1990’s were warmer than the 1980’s and that is a clear demonstration of global warming. I know few who would argue that we don’t live in the warmest decade for probably a millennium and there are now few who would argue that the period of warming ended about a decade ago leaving us with a plateau of annual temperatures. However, there is information in the decadal structure of the present warming spell that can say something about what is happening. All would agree that the global climate is changing constantly within certain limits due to the combination of anthropogenic and natural factors. The manmade factors are postulated to be responsible for climate change whereas the natural factors are taken to be agents of climate variability. The additional greenhouse effect caused by mankind’s emissions is a unique climatic forcing factor in that it operates in one direction only, that of increasing the temperature. If that is the case then something has been cooling the planet. We can say something about what is cooling the earth. The key point about the greenhouse effect in this context is that it depends upon one factor – the concentration of greenhouse gasses in the atmosphere. Am I alone in thinking that in the dynamically changing global climate this looks like a contrived, indeed scientifically suspicious, situation? Could the 10-15 year standstill possibly mean that all the computer climate models contain at least one error? 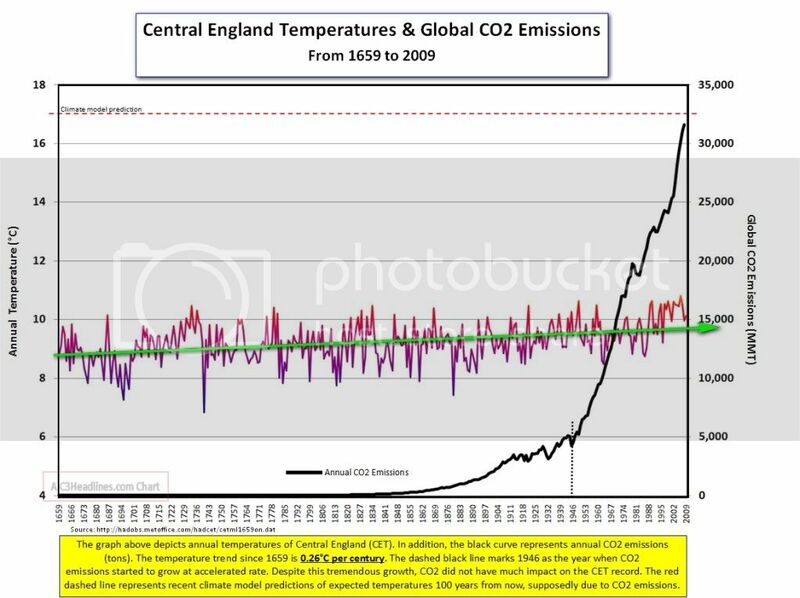 So increasing levels of CO2 don’t cause increasing temperatures. How many negative counterexamples of a theory does it take to falsify it? Later, he writes, “…this decade is warmer than the 1990’s and the 1990’s were warmer than the 1980’s and that is a clear demonstration of global warming. So, which is it? Has the warming been level for the past decade, or are we still warming and are now “the warmest ever”? My apologies if I’m missing the obvious. “Scientifically suspicious” is awful charitable. It is probably worse then that, as the temperature only appears to be steady, if one were to take out all of the “adjustments” made to support the AGW fraud, the temperature probably peaked in 98 and we are headed down. It would be really funny, well except for the screaming, if things were to get really cold. So you know few people that believe the medieval warm period was warmer than now? It seems the hockeystick team achieved their goal. It was an article by you in 2008 that began my questioning of the whole AGW hypothesis. Unfortunately I can not put my name to this thank you due the the toxic nature of my workplace regarding CAGW. 1) The satellite data and the ground station data have not been properly cross calibrated to make a “one instrument” temperature history. The ground data on its own points out that the 1940s may well have been the hottest decade. May. 2) When you move to to tree-rings, you’ve shifted into a realm that’s reliant on odd math. Temperature reconstructions of individual proxies that are calibrated into temperature prior to being combined into a global average show both a strong MWP and a LIA. But taking the pool of all vaguely plausible proxies and weeding for “those that fit the temperature records we’ve got” and then making the assumption that those self-same proxies are also good prior to the calibration period (although they aren’t after the calibration period) leads to a flat temperature profile. I expect there are more than “a few” that have sympathy for one or both of the caveats I’ve listed. We live in a warm decade, warmer than the 1990’s which in turn was warmer than the 1980’s. BUT the warming stopped in 2000. It hasn’t got any warmer since then. It has stayed warm. We are at a plateau of temperature. It’s a brilliant article. devastating logic made all the more incisive by classic British understatement. Or it could be that the IPCC is wrong. Considering how accurate they have been on a whole slew of other positions, that would be my choice. Trying to find cooling agents or processes may be as much a waste of time as trying to find Trenberth’s missing heat. Do you think it is merely a coincidence that the warming stopped at the same time that sceptics started looking at the data? It seems to me that the thumb was on the scale the entire time and that is why they will not release the original data that they use to create their temperature records. “The Devil is in the details”. Then, as long as we look at the details we will see, (As Briffa) a single tree and not the forest as a whole. That is called by ophthalmologists “nearsightedness” . We are used, overused and tired, of hearing : “….it was caused by a low pressure front”. Our questioning minds however, do not obey courtesy laws, and ask, following Socrates “maieutics”(derived from the Greek “μαιευτικός”, pertaining to midwifery. )…”.but what did it cause that low pressure?”, and so, on and on. What we need NOW is real, actual causations, and not “tranquilizing pills” or “Brave New World” ‘ s “Soma”. There are already people who speak about causations, but these theories/approaches are not well received as “disgusting” or rather “offensive” to established dogmas or “settled science”. We prefer to be heretical, doubtful, followers of doubt as a method, only driven by our inner gut’s feelings and seeking general laws beaconing from the lighthouse of truth. Then, what is it really behind climate? All on the strength of an unreferenced statement (posted here anyway) from a UK ‘think tank’. ‘Scientifically Suspicious’ – what a kind man David Whitehouse must be. Extraordinary claims require extraordinary evidence and that is sadly lacking, at least sadly for the catastrophists. Northern extratropics give good enough trend, not disturbed by ENSO events. Present times (warmest year ever) are on the level of 1990 and accelerating downhill. According to the models, NH should be already warmer by 0.5-1 °C. All this per IPCC own global record HadCRUT. These AGW people postulate that the decrease c02 radiance forcing has mirrored the increase solar radiance for the past 4 billion years. That is utter nonsense, unless there is an underlying mechanism for this to happen. So maybe, just maybe, when the “climate scientists” fully understand “all the Earth’s climate variability factors”, and the GCMs be modified to include those “climate variability factors” then the “truth” will be known. To admit that there are “climate variability factors” seems to open the door a crack. It seems to be an admission that their is still a lot of uncertainty or unknowns in what drives the Earth’s climate. So isn’t it just too early to advocate any action by humans? He assumes AGW is a fact and that natural factors have prevented the warming. The possibility that the warming was natural (caused by positive PDO and AMO) doesn’t seem to be on the cards. As our oceans begin their negative, colder cycle it seems likely that temperatures will follow. Should make an interesting follow up to this essay. Holy cow! I never thought of that before. This is a fantastic example of the Observer Effect. LOL! I agree that the cease of the warming trend looks very bad for AGW, and I think sooner or later it will be fatal. Buti also think you overstate the case somewhat. It is true that this year looks set to hit the average for the past decade. But of course it is nonsense to infer from that that the temperature has been a “flat line”. It hasn’t, it has varied up and down. If the temperature has not been constant then of course there is no reason to suppose that cooling factors have been a “mirror Image” of warming; the best we can say is that there is too much variability to say. Apologies for typos – I am posting from my phone, outside on an English evening and it is jolly cold! A sign of things to come? I think Dr Whitehouse is by being charitable and sympathetic to the AGW stance he is showing the logical absurdity of the situation. he’s showing that it does not hang together. Logically it is the initial assumption that must be faulty – the IPCC’s assumption that the world would warm by 0.2 deg C in the past decade and that greenhouse gasses would be the primary cause. I agree that the article has a devastating logic, and a devastating wit as well. This 10-15 year standstill !! It’s both. 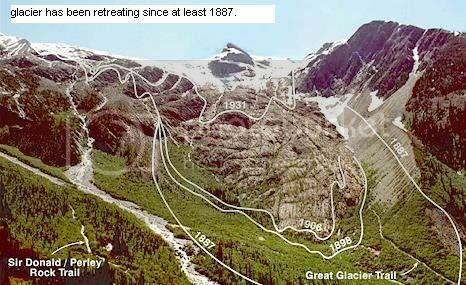 Temperatures warmed from 1979 – 1998 and have been flat since. The Medieval Warm period was at its height a thousand years back. It was as warm as today (or warmer), but that was followed by the Little Ice Age, which only ended around 1840. Since then, we have “recovered” to Medieval (or near-Medieval) levels. So, yes, it is warmer than it has been in a millennium (thank goodness), and yes, the temperatures have been flat for the last 12 – 15 years. Who writes this drivel ? Their conclusion is simply false. The IPCC estimated (from climate models that don’t properly model water and clouds) that the world should have warmed by 0.2 deg. The fact that it hasn’t means only that the IPCC was wrong; the Earth should NOT have warmed 0.2 deg and it didn’t; because Mother Gaia, knows what Temperature it should be; and that’s exactly where it is ! So humans cause climate change aka climate variability; and natural factors cause climate variability aka climate change. He seemed to infer a possible “thermostat” effect. Without actually coming out and saying it. It probably means that we haven’t adjusted for UHI. It’s painfully obvious to me that we have little more than ancedotal evidence regarding the surface temperature record of the planet. You’re not alone, and you’re being too kind. Theodore is right the thumb on the scale plays an unacknowledged and unknown part. As has been reporteed here earlier; using raw data from rural stations only the warming signal vanishes in North America . Only with urban data plus the corrections that make no sense and magnify the change do we get any warming at all in North America. I have had several reputable CAGW fans agree with the statement that there is no evidence of warming in the North American record since 1890. Then they trot out “the world is bigger than North America”. True but hardly the point. They all assume that only the US record has systematic corruption and somehow everyone else is perfectly fine. In other words the entire claim of warming rests primarily on sea temperatures taken by wildly different methods and in non random patterns and land temperatures from poorly sited stations often in third world countries. Interestingly the best recorded and best sited stations in the world, Antarctica and rural NA both show no warming. Therefore we assume they are wrong and the fudged numbers are right. Sorry Tim Williams but GIGO. Any and all groups using BS data and methods will produce BS results it doesn’t matter how many agree. Yeah, of course, that’s hogwash. Have you never heard of the Holocene Climate Optimum. I think there were decades back then. Oh yeah. Like all those other little standstills in the ,long term, increasing trend. Perhaps the “Federal Reserve Bank” of Climate is pumping out cooling agents to “devalue” the CO2 increases supposedly caused by people. If so the ultimate effect may be runaway inflation of cooling factors and an abrupt reglaciation of the northern hemisphere. Not sure about this but there has obviously been a devalutation of carbon credits, not to mention the US dollar. Well done Dirk for deleting the bit about “in the instrement record”. I thought attribution in IPCC reports said there was only a slight positive natural forcing? I guess you CAN have your cake and eat it, too. Some will raise the white flag. Some will fade away quietly. Some will go kicking and screaming. Those who don’t understand that the battle is over, such as British Prime Minister, David Cameron, may go down in history as being on all fours with the former Iraqi Minister of Information who denied that U.S. forces were in Baghdad. A simple explanation of why the offset equals the CO2 caused rise would be that the feedback is negative not positive. If the feedback reduces the CO2 rise by a factor of 3, rather than increasing it by a factor of 3, then the net CO2 rise would be 1/9 th of what the IPCC says. That rise is so small that it’s not noticeable in the natural variability. Have just found this really interesting article on CO2 and the Greenhouse Effect which takes the IPCC and the CAGW brigade to the woodshed by pointing out that they are ignoring “Inconvenient Truths” like the laws of Physics! I commend it to all readers of this blog (apologies if you’ve read it before). I think Theodore got it. “Do you think it is merely a coincidence that the warming stopped at the same time that sceptics started looking at the data? The Team fail again and again because rather than eliminating the impossible they attempt to eliminate the possible and get caught doing it. It seems highly unlikely to me that given the many faceted and often multi decadal influences on climate that any series of changes could combine to exactly negate the supposed warming effect of CO2. To a logical person this would suggest that the supposed warming effect of CO2 is the weak link in the above supposition and at best it deserves to be regarded with great suspicion and probably eliminated as a theory. After having read the article with an open mind, and with perhaps as many little grey cells as I yet have available to muster upon the problem, it still has the aura of gobbledygook. Let me give a hypothesis for a new global warming “disaster”. I love catastrophe theory, it has a certain inelegance that forces me to watch every television show about asteroids, comets and alien invasions as well. But then, I enjoy Japanese giant monster movies quite a bit, as well. In this hypothesis, Hubris reaches such extraordinary levels that Earth, trembling in fear, needs to cooperate, and turns up the thermostat to the levels not of the Roman Warm period, nor that of the Medieval Warm period, but that of the Carboniferous period when the average global temperature was around 20c and giant insects dominated life on land. Earth has been secretly storing up massive amounts of carbon for millions on years; during the Carboniferous time period atmospheric Co2 was at 1500 or 1580 ppm (depending on who’s estimate ) and cunningly has stored this all up for a rainy day. Assuredly, the much anticipated global catastrophe will be unleashed, The AGW believers will be able to say, stridently, “I told you so!” And we will all pay obeisance to our giant insect overlords while secretly plotting their eventual downfall. Not an elegant hypothesis, perhaps, but it should prove satisfactory to all. You have it spot on. A classically understated but devastating piece of logical writing which destroys the CAGW hypothesis, but spiced with a ‘tongue-in-cheek’ humour hidden just below the surface. “Am I alone in thinking that in the dynamically changing global climate this looks like a contrived, indeed scientifically suspicious, situation?” is the fatal and very witty blow! When it comes to surface records are current temperatures adjusted or just historical ones? And if just historical ones when do the adjustments tend to stop? If it happens to be around the mid 1990s it could be the reason there has been no more warming. If the past warming trend is due in part to adjustments the current non-warming trend could be because of no adjustments. 1) The assumed 0.2 deg of warming due to CO2 for such a small CO2 increase indicates that Beer’s Law is being ignored. The IPCC wrongly assumes a linear effect when in fact CO2’s effect plateaus and is >90% exhausted. 2) The IPCC projection of the 0.2 deg temperature rise begs the question of our influence here. Assuming CO2 has a warming effect, then we are supposedly responsible for 5% or less, or 0.01 deg. At which point who cares? This is an undetectable effect, particularly as the effect is much less, a la Beer’s Law. The climate is what it is and it’s not worth mentioning our input! 3) We do not live in a greenhouse. Greenhouses do not allow convection, the atmosphere does. Estimates of convection’s heat transfer to altitude is 65%, with 25% to water vapor condensation at altitude, and the rest Trenberth tracks. 4) There is good evidence that CO2 might actually have a cooling effect when we admit that we do not live in a a greenhouse and that heat absorbed by CO2 would serve to increase cooling by convection. Furthermore, Miskolczi and Zagoni have elegantly shown that CO2 and water vapor interact such that absolute water vapor decreases as CO2 increases, creating a constant effect. And, as water vapor is the superior heat-trapping gas, less water vapor might cause a slight cooling effect. Bottom line, it is still very unclear that CO2 can warm our atmosphere AT ALL! Key Word: Convection. 5) It can be argued that the recent warming or lack of warming is due to the efforts of the data handlers with their nefarious, warming adjustments. Raw data does not show that temperatures have been as steady as indicated here and they generally show cooling except in urban areas. 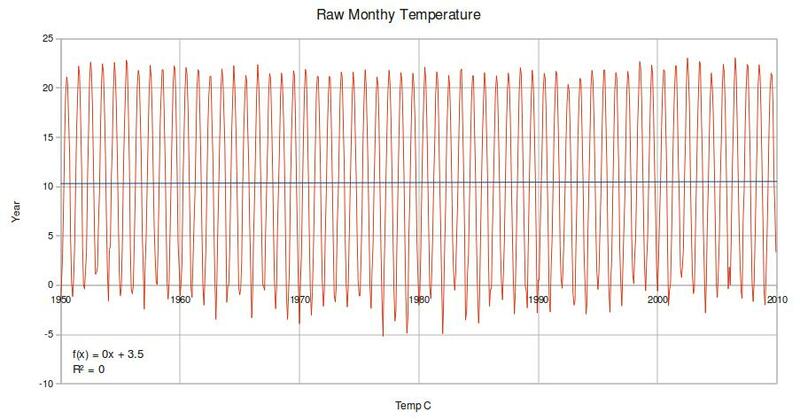 When raw data from places who do not adjust their temperatures upwards is mixed with warmed, adjusted data, they cancel. I am of the opinion that the real world is canceling the fantasy world of fabricated warming. 6) “Can it really be the case that over the past 15 years the sum total of all the earth’s natural climatic variable . . . .” First, let’s throw out the <1/100ths of 1 deg human factor and then recognize that there was a fairly sizable temperature plateau after the 1938 peak. This was not unlike what we have experienced now. To assume that natural forces are canceling falsely derived, deeply flawed thinking of the IPCC is to create explanations based on fairy tales—the stories perforce also become fairy tales. We HAVE to recognize the systematic and blatant adulteration of the temperature records, a total disregard of the urban heat island effect, and augmentation of the temperature records to meet a political agenda. Until we use ONLY RAW DATA from properly vetted sites and realize that we do need a temperature average for the entire globe, then and only then can we properly examine the climate. The stupid idea that we have to have a global average means that researchers start finding ways to fabricate data for regions not covered. This is NOT science, this is fabrication which is open to all kinds of bias-introducing factors and people. As apparently no one knows, or is recognized to know, how to adjust for urban effects, we should simply ignore urban data entirely. We need to accept a small set of rural, reliable sites from around the world and simply take their average. Once this is done, it is simply a matter of watching the average. We can surely come up with a fair number of distributed sites, but urban or badly sited sites need to be excluded and not made to fit no matter what. By keeping all of the bad sites and claiming to have to do adjustments, dishonest data-handlers have the opportunity to adjust the data any way they want. It is truly a phenomenon beyond belief when older data, for no reason, needs to be made cooler and more recent data always needs to be made warmer. That darned political agenda certainly does cause global warming! The obvious warming of the data from three sites near Washington should be the poster-child for the dishonesty of the data-keepers. I definetly have observed this leveling off for this past decade, and looking at Dr. Roy Spencer’s graph of temperatures, it seems to me that all the warming occured from 1995-2000, around when the AMO switched from cold to warm. The temperature was pretty flat till 1995, and has leveled off, if not dropped a little since 2000. Is this a conicnidence that the temperature has mainly been level, except for a couple years of change? or is it a sign that maybe the CO2 forcing isn’t really happening, and the warming has been because of oceans? Once the oceans warmed to where they are, the temperature has been relatively stable despite increasing CO2…interesting. … and then I stopped reading. This is the most beautiful, witty, erudite tongue-in-cheek response to the mad concepts postulated by the control-freaks of the IPCC. Theodore not only got it, but New Zealand’s NIWA got caught with their thumb on the scales, the first such institution, I am sure, to actually be caught in that awkward position and to have been forced to admit the real situation. I am waiting patiently for GISS to respond to the FOI that they have been dragging the chain about for so long, as I suspect there is a lot of truth-telling to be done there , too. As a long-time observer of weather, I have been surprised for years at the positive (rarely negative) inaccuracies of the State forecasters wherever I have happened to live. of Hansen’s, Mann’s, Jones’ and all their peers’ pastries and concoctions is a non-nutricious, lo-cal, fat-free, tasteless waste? The whitehouse article is nonsensical. Souther hemisphere people know that it’s cooler, something that northern warmists don’t know and apparently don’t want to know. I think you have it. Take only proven, reliable, sites with 1st class metadata and scrap the rest. Create a new network of surface stations and calibrate with the existing 1st class stations and satelite data and provide funds to support that network and finally cease all government climate funding and hand it to private sources with the govs buying the data collected. Then sack, Mann, Hansen, Steig, Schmidt et al. And then there is the UHI effect, is there room for CO2. Perhaps you would care to share the numbers you use when you claim that temperatures have not increased in the last 15 years? The numbers I see show a measurably increased temperature. These numbers are NOAA’s data for the last 15 years, not including 2010 because, well, it ain’t over yet. Rounded to hundredths. That looks like warming to me. Of course, you may be playing the ‘statistically significant’ angle, in which case you should include a longer data set and have a more robust discussion of the overall trend. It’s also worth noting that the anomaly for this year, if it holds, would be a record temperature in the NOAA dataset. Currently it stands at .65. And in the last few months we’ve set the record for the warmest 12 month span in modern history (since late 1800s). Finally, your statement that since the decade of the 1940’s only 2 decades have showed warming is interesting. Again, what data did you use and how do you count? If you are counting decade over decade warmth (ie was the decade in question warmer or cooler than the previous decade) then NOAA shows that 6 decades have been warmer than the previous (only the 1950s were cooler). If you are using absolute anomaly by decade then the count is 4 decades. From a casual observer it seems your conclusions are highly dubious if not worthless and your methods need some explaining. The instrumental records, HADCRUT3, GISTEMP or Central England…. …all show a warming trend, but it is only the post WWII period which is relevant to any significant anthropogenic influence…..
Why is the temperature unchanging? 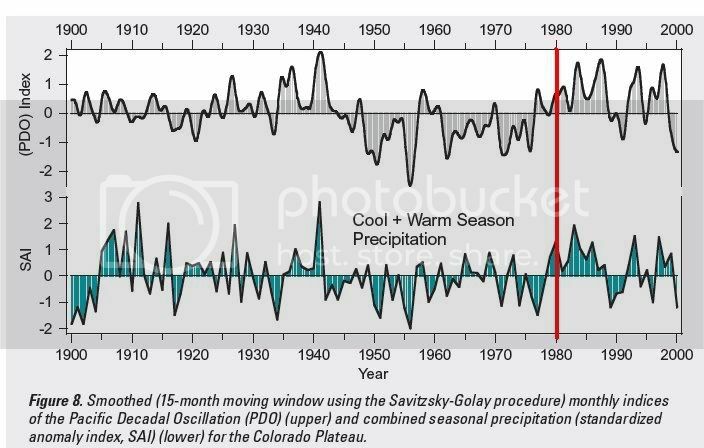 more interestingly, why is the precipitation unchanging? talk about climate change ! Have you taken at look at this paper? Also, I continue to have some suspicion about solar influence but I really have nothing concrete to base it on. Data that shows world has not warmed in the past 15 years and the impeccable sources that say so. It was Phil Jones who, this year, said there has been no statistically significant warming since 1995. Accordingly, I have ordered extra suncream and given my warm clothing to the poor. Maybe the theory is wrong. Well, I’m glad I made another run at it; must have missed the sarc flag the first time and ended up off the trail. And N.H. warming barely exists in high summer, at mid/high latitudes or the Arctic. In my business (software engineering), we have a term for bugs that disappear when you try to look for them: Heisenbug (after Heisenburg’s Uncertainty Principle). I think perhaps what we have here should be called Heisentemperature :p.
How many years of a standstill will it take for AGW proponents to start abandining their theory ? Your impeccable source was the same person that wrote this article. I hardly think that counts as a second source! Indeed the article you reference is just a rehash of this one (or vice versa). It more specifically details the meme of ‘it hasn’t warmed since 1998’, which is just cherry-picking nonsense. All six of Charles’s detailed points are worth a re-read. True science demands hard proof from experiment or solid observation, not assumptions based on glossing the facts. I’m also aghast about some of the big ‘elephants in the room’ which the current cabal of IPCC climate scientists don’t want us to see, let alone question. How can 30y be considered a suitable climate period when this is much shorter than natural climate oscillations as seen in the historic record? Any period shorter than the 200y de Vries solar cycle, say, will clearly lead to variations to climate metrics like temperature, for example. It is then possible by picking the correct period of the cycle to highlight a warming or a cooling ‘trend’. It has been known that climate acts very much like a forced pendulum, and exhibits deterministic chaos which is responsible for the quasi-cyclical behaviour we see (example above). It also leads to an effect called maximum entropy production (MEP), which means that a complex non-linear system will select the trajectory (or assemblage of trajectories) out of those available which maximise the dissipation of energy. So as climate warms due to the myriad of observed quasi-cycles, the total system changes to become more efficient at losing energy (mainly through turbulence and changes to boundary conditions). The reverse happens when cooling occurs, but it is important to remember that there will be over-shoot (like the 1998 temperature peak) and undershoot as the system is constantly, but unsuccessfully, forced to find thermal equilibrium. Current science tries to deal with this complex, highly interlinked system as if it were a simple linear one. It makes too many invalid assumptions. It refuses to acknowledge the ‘elephants in the room’. Because of this situation it will continue flounder, with no real worthwhile progress made. Species migration and glacial ice melt are other indicators. His reply is a little more nuanced than your article indicates. Another possibility is that it stopped after they made the adjustments (homogenisations) that showed the upward trend in the first place. why dont you read the gwpf article and you will see its referenced and is the opposite of cherry picking. It might be written by the same person but look up the references and links. Wouldn’t that be a good thing to do! This article is quite amazing. There are N natural forcings, some are known and some/many/most are unknown, finally we have the CO2 forcing. OK, so let’s assume AGW is false and CO2 forcing is essentially zero, and then go through this cunning argument again. Now, instead of (N+1) forcings canceling each other out we instead have only N forcings canceling each other out. And THAT is supposed to somehow be more probable? Do you see how utterly brain dead this article is, the whole premise is BS. Embarrassing. Look, I really like this site, but some of the stuff you post is just complete junk. Why don’t you reduce the posts and keep only the good stuff (yes, I know you didn’t personally write this piece). If the skeptics stop looking at the data then warming would start again. Or we can sit back and watch the mighty battle take place for temperature trend supremacy: In the red corner we have the elusive IPCC’s CO2 induced warming and in the blue corner the more tangible downward trending natural climate variables. Place your bets. Yer, Tim Williams the temp trace up and downs and standstills follow solar-nino-ocean -volcanic trends, as does the current 10 to 15 year standstill. None or extremely little CO2 is needed for that! Uh… yeah. Talk about junk. CO2 is no passive bystander in the CAGW scenario. It requires a counterbalance for there to be stasis. Otherwise, it’s just a random equilibrium, which is far more likely. Allow me to introduce you to William of Ockham. That is incredibly bad writing, like somebody talking while asleep. It needs to be edited, or translated, into English. If climate experts are actually talking that way, they need to be chained to luminous, beeping dictionaries. What is the difference between being responsible for climate change and being an agent of climate variability? It is only possible to move past temperatures when adjusting otherwise you will introduce a step change immediately before all following recorded (raw) temperatures. In the case of NIWA, these temperature adjustments were generally downward and therefore showed a rising trend. Temperatures after that will not be adjusted so whatever trend occurs after the adjustments is the real trend. The raw data trend in NZ was only slightly positive but after adjustment became 0.92°C/100 years. So when was this adjustment made? As the graphs are plotting anomalies, there would have been no anomaly at that time, zero. The graph shows that to be late 1980’s. I wonder where Jim Salinger was working at that time. … the energy is escaping the Earth at exactly the same rate that the Sun’s energy is coming in – exactly that is. In other words, there is no extra radiative forcing from GHGs or any net change in any other climate factor. Very simple and no climate model should be able to argue with the climate on its very simplest terms. Been playing around with the daily radiation budget numbers – this is how close the energy escaping is versus the energy coming in. 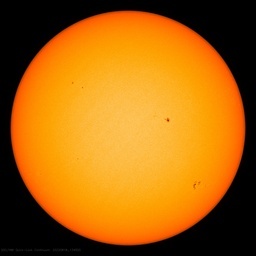 At about noon, the solar radiation is at a maximum – Earth average 960.0000 watts/m2/second. The energy escaping/rising to the colder atmosphere at noon – 959.9983 Watts/m2/second. There is just an extremely small difference so that there is slight accumulation until the temperature peaks at about 3:00 pm or 4:00 pm. After that, the energy escaping starts to exceed the energy coming in (again just a very small difference – unmeasureable really). After the Sun sets, about 0.001 Watts/m2/second is escaping to the colder upper atmosphere and to space. [Of course, the energy flowing out exceeds the back-radiation as the global warming set like to call it so the back-radiation does not really describe the real activity in the real atmosphere which makes it a red herring]. There is just a tiny differential throughout the day, in every second in the 24 hour period. For the 15 year period in question, it is a ZERO difference. Glad to see someone thinking about climate history. I have analyzed the available data and made comparisons between satellite and ground-based measurements. They do not agree because huge sections of temperature curves overlapping satellite data have been cooked. As in falsified; and I show how it was done in my book. But here let me just outline what the real climate history looks like. First, the three primary sources of world temperature – NASA, NOAA, and Hadley Centre – all show a phony warming in the eighties and nineties that starts in the late seventies. I can tell that from the satellite record which begins in late 1979 and continues to the present. There was no warming in the eighties and nineties at all, just a temperature oscillation, up and down by half a degree for twenty years. But there was also real warming which started in 1998 when a super El Nino arrived. Global temperature rose by a third of a degree in four years, and then stopped. This warming was not carboniferous. A third of a degree is half of what has been allotted to the entire twentieth century. That is why the current decade is the warmest on record. There was no further warming but temperature stayed near the El Nino maximum point for six years, the twenty-first century high. That ended with a La Nina cooling in 2008 which inaugurated the present oscillating climate period. The temperature oscillations in the eighties and nineties were not random but consisted of El Nino peaks of which there were five in twenty years. The valleys in between were La Ninas and together they outlined the course of the ENSO oscillation that has a global climate influence. They are present in all temperature curves if some idiot did not wipe them out with a running average. There is a superstition among these “climate” scientists that a thirty year average has some magical properties. The only magic I see in a thirty year average is that it destroys data they should be interpreting. ENSO oscillations began when the Isthmus of Panama rose from the sea and they are expected to continue in the foreseeable future. They were interrupted in 1998 by a super El Nino which was not part of ENSO and which brought much warm water with it across the ocean. The result was that warming continued after the El Nino was over and produced the twenty-first century high I mentioned. The La Nina of 2008 was simply the restart of the ENSO oscillations that were suppressed in the aftermath of the super El Nino. Since then we have had the El Nino of 2010 which has peaked and the next La Nina is already on the way. I expect this to continue indefinitely if nothing unusual does not interrupt it. The IPCC dream of seeing a steady increase of temperature is simply out of the question. If you now look at the temperature curve for the last thirty years as a whole you will see two parallel sections. On the left is the oscillatory period whose center line lines up nicely with NOAA’s chart from the fifties to the seventies. That part goes back before they started their fakery. On the right is a horizontal section starting in 2001/2002 that can be extended to the center line of the new oscillating climate. And in between them is a transition region that starts with the super El Nino. This is just the basics and I highly recommend that you get the rest from my book. Your assertion that there has been no warming in the past 10-15 years is just that – an assertion. 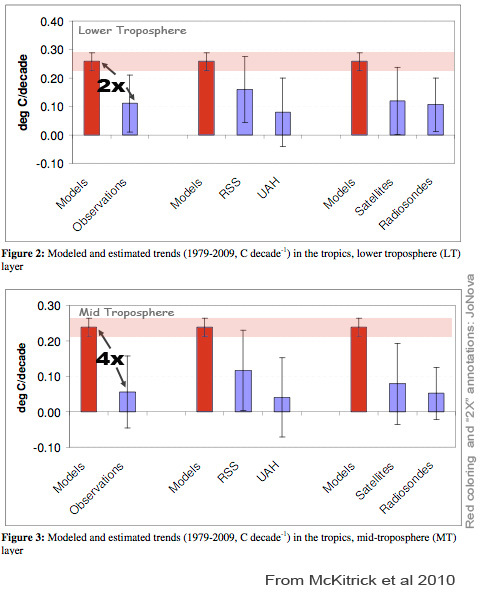 I see no support for your assertion in the Wood for Trees plot of the 4 major indices of average global temperature over the past 15 years (see http://www.woodfortrees.org/plot/gistemp/from:1995/offset:-.24/plot/hadcrut3gl/from:1995/offset:-.15/plot/rss/from:1995/plot/uah/from:1995/plot/uah/from:1995/trend). This plot, using the UAH trend line, shows over a 0.2 degree change in the interval. 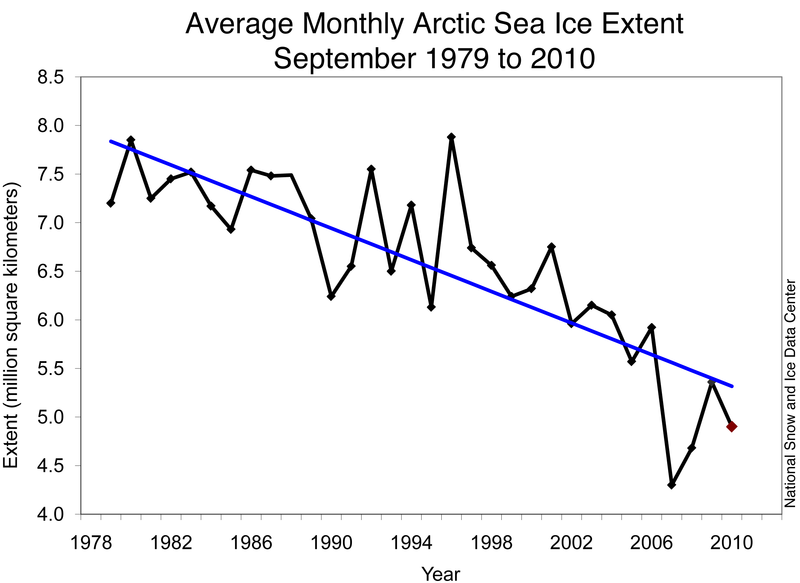 I see no support for your assertion in the NSIDC plot of September arctic ice extents for the past 15 years (see http://nsidc.org/images/arcticseaicenews/20101004_Figure3.png ). The sea ice levels at the September minimum show, if anything, an acceleration in ice loss, and the PIOMAS models show accelerating loss of ice volume. The European Cryosat will soon be making an independent measurement of the volume of the arctic sea ice. More good data! I see no support for your assertion in the most recent update of the GRACE measurements of Greenland ice mass (see http://www.skepticalscience.com/Greenland-ice-mass-loss-after-the-2010-summer.html), and the GPS measurements of Greenland crustal uplift. The great preponderance of measured data shows that global warming is continuing unabated. Your assertion is puzzling to say the least. There are some quite silly comments here. I saw the point Dr Whitehouse is making – climate change he applies to man-made influences that act only one way. Climate variability he attributes to climate variations that can act both ways (warming and cooling). 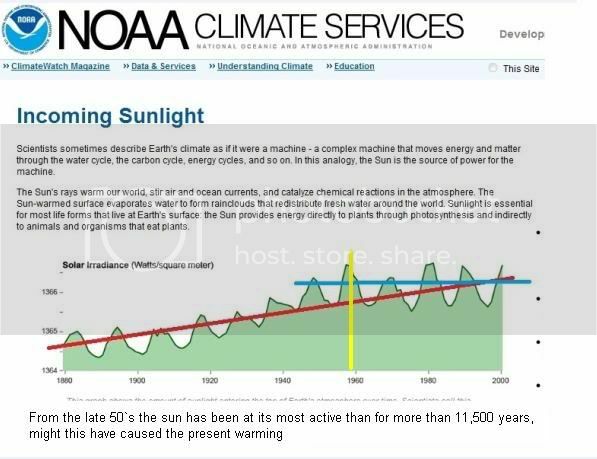 It’s like the difference between global warming and climate change was once used before those advocating GW changed it to CC because the world wasn’t actually warming at all in the past decade. Read the GWPF article. Whitehouse goes into the debate about cherry picking and DOES NOT choose 1998 as you say. On choosing small time periods is not the point. The temperature standstill since 1995 is now of longer duration since the 1980 – 95 warming spell so if any climatic event should be regarded through the prism of too short a time period to be of long-term climatic importance then the 80-95 warming ranks lower than the 95-2010 stasis. Some of our correspondents do not seem to have appreciated the article’s subtlety, sometimes by not reading to the end. It seems to me to be very much a case of ‘reductio ad absurdum’. I was wondering, what has been the fate of Anthony and Pilke Sr.’s paper? Is it caught in the web of peer review? The article is statistically speaking, nonsense, and doesn’t show a single graph of real data to support its premise. The truth is that the last 15 years have a best fit linear trend of 0.12C/decade. David Whitehouse is entitled to his opinion but not his own facts. There are some quite silly comments here…..Ben U -I saw the point Dr Whitehouse is making – climate change he applies to man-made influences that act only one way. Climate variability he attributes to climate variations that can act both ways (warming and cooling). …. That is not the difference of meanings between “change” and “variability”. So he uses some sloppy, debased English, and you with complaints of silly criticism want to make a shibboleth of it. I’d say it’s best to avoid aberrant usage of everyday English addressed to the general reader, whether it’s a result of linguistic incompetence as in the present case or of obfuscatory intent as in the warmist case. What you say may be true for the NOAA data set but it is not true for the Hadcrut3 data set. At the present time, to the end of September, the Hadcrut3 data set (http://www.cru.uea.ac.uk/cru/data/temperature/hadcrut3gl.txt) shows an anomaly of 0.511 to the end of September. By contrast, the 1998 value was 0.548. And judging by Dr. Spencer’s daily data, it appears that the October data will drop the 2010 anomaly to under 0.5, but we will have to wait and see for that. Now as for the warmest 12 month span, if you wish to play games and move the goal posts, I can do that as well. The 1998 figure of 0.548 was from January 1, 1998 to December 31, 1998. However if we were to take the 12 month period from September 1, 1997, to August 31, 1998, the anomaly rises to 0.577.
don’t agree. David Whitehouse is clearly a more sophisticated writer than you perceive. and Ben U – Shibboleth – really!!!! Thanks for posting this Anthony. As other’s have pointed out, there’s some rather subtle irony in there which some appear to have missed. The summary by Charles Higley also hits the nail on the head. Arno Arrak makes some good points also – particularly about the nonsense of smoothing out the 30 year mean. It caused such a stooshie in the New Statesman that they felt it necessary to give a right of reply to Mark Lynas. Deceleration of global warming rate in the last two decades by a factor of 8.3 from 0.25 deg C per decade for the period from 1990 to 2000 to only 0.03 deg C per decade for the period from 2000 to 2010. Where is the man made global warming? So, just because natural variability can hide a 0.2 degree rise, it can also hide a 2 degree rise? Interesting theory. Well, we all here at WUWT knew or suspected that CO2 is not what caused warming in the first place, e.g. We also know that CO2 stimulates growth and greenery: it is afterall the “oxygen” for plants and trees. …. An interesting observation I made here in Africa is the cooling observed when you enter a forest. It is not just the cooling caused by the shades of the trees. You can actually feel the distinct coolness coming from the bottom up. You can clearly feel that greenery and forests actually absorb heat from its surroundings which is needed for growth. It is and it stays a truly amazing molecule without which life would not have been possible. The only warming you get out of burning fossil fuels is the stored energy that is released. It came from the sun, and it gets radiated back into space. The CO2 and O2 hanging around after the burning of fossil fuels represent zero. They were already here to begin with. If Earth were to respond to forcings from releasing what was already stored here, so too would your house only need to be heated once per winter. The Atmosphere leaks, man, it just plain leaks. Get over it. Ah yes,so the trend is essentially flat from 1979 to 1997 according to Singer, and also flat from 1998 to now….. Anyone see the snag in this type of analysis? Or is a discontinuity of 0.22C on the Jan 1st 1998 a physically believable occurrence? God, British humour doesn’t travel well, does it? We’re born and bred on it, and can spot it very quickly. He’s gently yanking people’s chains, as Americans might put it, or as we might, pulling their legs, having them on, taking the Mickey or taking the piss. Out of whom? Warmists, not sceptics. What Jones meant to say is that trends done over short periods (such as 10 or 15 years) are not statistically significant. This post is very pertinent to me because it one was of the key bits of evidence that shows the bias and lack of science by the global warmers. As a scientist, knowing that the average time for variation of the climate is 10years, a 10 year “pause” (actual slight cooling) is extremely significant … not because it is statistically meaningful to say: “warming has stopped”, but because 10 years is enough to say that this is not a statistical blip. Something has definitely happened between the 1970-2000 apparent upward trend and the apparent pause/cooling: that is a fact that is indisputable. It is also indisputable that it has had a profound effect on the debate regarding manmade warming. Now let’s see what wikipedia says about the 21st century pause/(cooling): …. That is how I could tell that Wikipedia was completely utterly misportraying the facts on global temperature … no that’s not strong enough, Wikipedia is spreading outright falsehoods. It has not warmed in the last decade, a fact that is extraordinary enough when warming is supposedly “the greatest problem facing mankind” that it deserves a whole article on Wikipedia to look at the whole range of issues from possible causes to the political impacts on the global warming debate. But not a word** on Wikipedia. **PS. I’ve not read Wikipedia in a while, but given the last exchange with the editors who “own” the warmists articles, I’ve no reason to believe they’d ever accept any mention of the 21st century pause. Climatic variation is a 1/f type noise. For those who don’t understand what it means: 1/f noise appears on a graph like a very drunk person with amnesia walking down the street … they walk as if they have a purpose … they walk forwards with vary little short term variation, but just as you think you know where they are heading they veer off and go somewhere else, and the longer you look the less clear it is where they are heading. In contrast the typical noise on which this article is based is the “bee-bop” noise of some disco dancing roller skating youth who shows a great deal of variation in their momentary position but whose direction, speed and final destination are very very predictable. What this article fails to understand is that if the young disco dancer were to change direction and cross the road, it would indicate a change in behaviour, whereas if the drunk had been walking along the sidewalk and then crossed the road, … there’s absolutely no change in behaviour! They’re still drunk, they’re still going in random directions and they are as likely to cross back over the road as head over the sea wall (not knowing the cliff was on the other side …. oh for the good old days of University). The point people just can’t seem to get into their thick skulls, is that all the changes in that there is nothing at all inconsistent with all the changes in the last 150 years being entirely random variation (of 1/f noise). According to the argo buoys, global warming stopped in 2003. As the NODC is reportedly not supplying further argo data, are we to assume this is because they are showing ocean heat content now falling? Also, Jones testified earlier this year that we have had no statistically-proven air temperature rise since 1998. So, the ‘cloud albedo effect’ cooling correction in AR4 is imaginary and at the least one should scale back the IPCC’s predictions of climate sensitivity by a factor of about 3. Also, after experiment failed to prove the cooling effect, NASA publicised an entirely false physical explanation of it, ‘reflection from droplet surfaces’. Was this to keep the correction in AR4 thereby to maintain the myth of high climate sensitivity? In reality, aerosol pollution must cause a decrease of albedo for thicker clouds, so it’s a heating effect, another form of AGW. It’s easy to prove theoretically. Consider a thick cloud with 15 micron droplets. The component of albedo from the first scattering is approximately [1-g], about 0.2. Reduce the droplet size to 5 microns and you reduce it to about 0.1. So, in the first case 80% of the sun’s energy enters the cloud to scatter diffusely and in the second case, it’s 90%. Thus, assuming no absorption and symmetrical diffuse radiation, albedo falls from 0.6 to 0.55, a decrease of about 8%. AS the IPCC models have apparently always had this mathematical flaw they have always been wrong about CO2-AGW. Net CO2-AGW could be very low indeed. It seems Sagan was wrong about Venus and about the possibility of CAGW on Earth. I am sure that their are negative feed backs in water vapour and clouds as has already been said but if co2 is to succeed in driving world temperatures up then it has to melt the ice at both polar ice caps,I know that the level of ice is probably determined by ocean and sun cycles and wind also,co2 is not really doing a very good job of that.Antarctica has grown in size recently and the arctic summer minimum has declined up to 2007 since then it has leveled off like world temperatures . PS according to the above analysis, global warming stopped in 2003 because ‘cloud albedo effect’ heating, possibly the result of the ‘Asian Brown Cloud’ as globalisation drove Asian industrialisation, saturated. And as Asian cleans up its aerosol pollution, if as I suspect net CO2-AGW is very low through a natural control system, global warming should reverse. As the IPCC so disingenuously put it, “…warming of the climate system is unequivocal….”. According to them (paraphrasing), human CO2 emissions have been the overwhelming climate driver since about 1950. But the climate has been warming since about 1750. Rob Vermeulen + Owen, what is it about the c. 1950 – 2010 warming (about 1.2°C/ century) that makes it so obviously mainly due to human CO2 forcing and therefore different from (for instance) the c. 1910 – c. 1940 warming (about 1.3°C/ century)…. …. which could not have been due to any significant human influence …..
….and will obviously result in such catastrophic consequences, that makes it imperative that human industrial progress since the enlightenment must be deconstructed? PPS Since real [hemispherical] albedos of water clouds can be up to c. 0.7 and there’s an angular dependence you shouldn’t see for a Lambertian, diffuse emitter, there is additional direct backscattering. It’s probably because the wave entering the cloud is strongly non-plane, with peak, relative forward intensity after the first scattering of 10^7 for 15 micron droplets. This presumably causes g to be <<0.5 at the next scattering. Since the peak intensity falls by a factor of c. 100 when droplet size falls to 5 microns, there may be a sharp decline of this component of albedo due to pollution. The geometrical concentration is because scattering on the way out of the cloud probably forms a cone of radiation. I believe some groups are modelling this. And … you know what is the worst possible way to measure 1/f noise variation? (with large amounts of long term variation) To use a short-term proxy like trees whose growth shows the variation in rate of growth of an individual for a few decades … for which it provides a relatively clear signal, but which is subject to long-term environmental nulling of change as the rest of the forest around the tree adapts. So , over the lifetime of the tree, the general tree canopy will change so as to increase or reduce competition as the climate improves/worsens, so that even though one individual tree may do well/worse if there is a step change in climate, eventually the other trees will grow or die so as to provide the optimum competition. So, whilst we are told tree ring proxies are a measure of the climatic effect on an individual tree, in the long run other trees will grow and/or other tree die until the optimum rate of competition/growth is achieved for the given climatic conditions. Let’s give an example: if e.g. the climatic conditions allowed 1000tonnes of wood to grow per year in a forest of 10,000 trees, and then the climate changed to permit 1100tonnes, then obviously the trees in the forest would have additional growth with an average of 110kg instead of 100kg. However, that increased growth would also apply to younger trees who will be less likely to die out and more likely to mature, so that we would expect the density of tree to increase. If that does so until there are 11,000 trees, then that 110kg/tree will reduce back down to 100kg/tree even though the climatic conditions would favour more tree ring growth for an individual tree! Of course, the “balance” of tree density and tree growth may not be the same in the new climate, and the long term proxy is a combination of effects on individual trees LESS the canopy nulling effect. But in summary: tree are a good short term proxy for climate, but a pathetic even useless long term proxy because tree rings show the growth of one tree on its own, and climate affects the rate of growth of the whole canopy/forest . For the flat earth societies kind consideration: Oops, watts up with it now? If Willis has read this post, he must be quietly smiling to himself. I find his tropical thunderstorm ‘thermostat’ theory utterly fascinating. It’s a Heisenberg Uncertainty in regard to climate data, also known as the “1-2-3-Red light!” effect. Agreed, there has been substantial warming since the mid 1980s. However, there’s absolutely no proof it has been from CO2-AGW. This is because the models are wrong in their calculation of the largest ‘correction’ to the observed ‘CO2 signal’, median 0.4 W/m^2 in Figure 2.4 of AR4. This is the ‘cloud albedo effect’ of -0.7 W/m^2. It’s entirely imaginary, no experimental or theoretical justification except for thin clouds with very low total albedo. So, one must consider the much more likely explanation of AGW, heating from lower albedo of thick clouds as aerosol pollution reduces direct backscattering at the upper surface. The implication of course is that net CO2-AGW is controlled by strong negative feedback. Ok, everybody stop looking now! It’s colder than (the cold 1961-1990) normal right now and has been so for weeks, I could use at least +5C, thank you! The mid-1980s is a strange reference point. There was a step increase prior to the 1998 El Nino event. An increase which would be / is hard to attribute to CO2-AGW. Since that time, of the step increase, I do not see any substantial warming. Another thing about the step-increase. Since that time the way the temperatures have acted is quite a bit different from any time during the last century. A long deep cooling headed our way? “Am I alone in thinking that in the dynamically changing global climate this looks like a contrived, indeed scientifically suspicious, situation? Is it a coincidence that the human and natural factors balance out this way? I love Agatha Christie, but like her little Belgium sleuth more than the matronly English one. Occam’s razor could be applied and maybe the answer is simply that the IPCC supported theory of GHG effect by CO2 isn’t correct and needs to be changed. The actual temp record prevails, not the CO2 GHG theory. Absolutely not! It may be that the number of skeptics increased when people felt that reality was wasn’t keeping up with the claims about warming, but there have been skeptics looking at and questioning the data since the gloom and doom predictions first appeared. Some have paid a heavy cost from the scorn and ridicule directed their way for decades and must feel relief that there are more people to carry the standard. Some off the top of my head are Joe D’Aleo, Bob Carter, John Daly, Richard Lindzen, Nils-Axel Morner, Fred Singer, and many others who I don’t know when they took a public stand that the warming of the 1970s and 1980s was not due just to CO2 increases. For your penance, I think you should double my list and find the earliest to their skepticism. You could also say that this started about the same time as computers and there models, although now people have had a look at these models and are starting to compare it with real world data they are shaking there heads and realising how worng they where. 1. The unbridled freedom of the AGW supporters to tack on 0.5 degrees here and there, discard the bad bits, harness UHI for the cause, erase MWP, etc with impunity has been curbed by Climategate and the resulting acceptance of sceptics in the debate. These are not the warmest decades – they are as warm as fiddlers were allowed to get away with. 2. If there was warming caused by anthros, why wouldn’t a “pause” be caused by the natural system’s reaction to a warming, whatever the cause. Your distrust of coincidence is justified. It is not a coincidence that when you are pushed into a swimming pool you also get wet at the same time. 3. We now have a new metric to judge the significance of a cooling trend. That is the growing hysterics, the violent tasteless videos and games being produced by the desperate CAGW head cases, the “discovery” and claiming as their own of UHI effects, the importance of clouds… stay tuned the list will continue to grow. What is this ‘anthromorphogenic (?) ‘ climate change Barnett talks so ill informedly about? “Regardless of the public consensus on climate change, it is clear that relying on increasingly rare fossil fuels is not a long-term option. We cannot be exposed to the risk of resource conflict. Nor can we afford to remain at the mercy of volatile fossil fuel markets. Not only are we vulnerable to interruptions in supply, we are also exposed to fluctuations in price. Oil or gas price shocks could reverberate throughout our fragile economy, hampering growth. One scientific way of describing climate change is to test for trends. 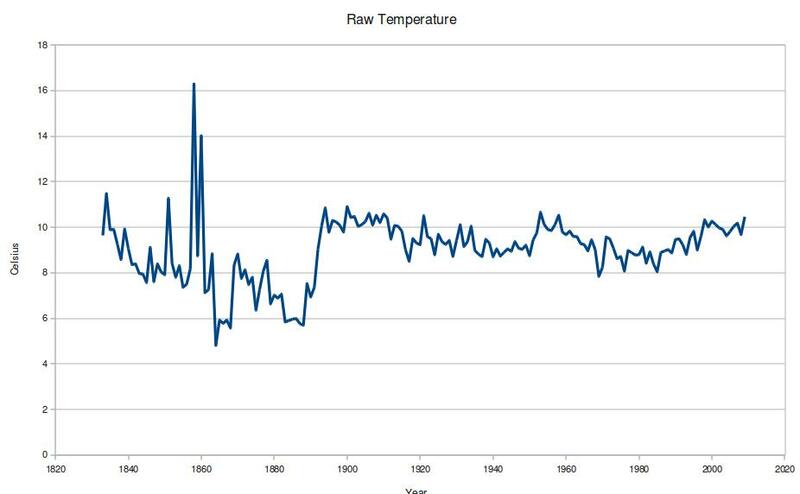 The upward trend in the earth’s temperature has continued since the turn of the century. Mr Whitehouse’s conclusions seem to be based on nonscientific, statistically challenged reasoning. He should spend more time at Tamino’s to catch up on his statistics. Yes Andrew that is the article that gave me pause to examine AGW for myself and not just believe. I read it in spring of 2008 even though it was published in 2007. Oh yeah. Like all those other little standstills in the ,long term, increasing trend since the end of the LIA in 1850. Who would have thought we would have warming after cooling ? I’ll be surprised if the World temperature rise will stay at 0.74 K. We could lose a third. Tamino?? You’re kidding, right? L. Ron Hubbard would be more scientific. If you want a trend since “the turn of the century,” here’s one: click It nicely explains the recent cessation of warming. The Earth continues to emerge from the LIA. It is still not as warm as it has been many, many times during the Holocene. During the Minoan, when there were no SUVs roaming the Earth, the planet was much warmer than today. But go ahead and believe that this is not simply natural climate variability. Just so you understand that there’s no science in your conjecture. Thanks for that nifty graph of solar irradiance; that’s the first time I have seen that information. It’s amazing that during the Maunder Minimum, not only did the sunspots vanish; but the TSI variation did too. I’ver heard or read, that the sun still did go through its 22 year magnetic cycle during those years; but I can’t point to any citation of that. Perhaps Leif Svalgaard could enlighten us. I love correcting graphs; that one is a keeper. Take some time to absorb the information given in those graphs. From this point onwards, after studying those graphs, I became skeptical of global warming as such being a problem. Phil Jones: Yes, but only just. I also calculated the trend for the period 1995 to 2009. This trend (0.12C per decade) is positive, but not significant at the 95% level. The positive trend is quite close to the significance level. Achieving statistical significance in scientific terms is much more likely for longer periods, and much less likely for shorter periods. Of course, the only part of Dr. Jones’ answer that usually gets repeated, because it suits some people’s ideology to do so, is the “Yes” part. In fact, the trend is just short of being statistically significant by a mere percentage point or two. What that means in practicality is that instead of there being a 1 in 20 chance that the Earth is *not* actually warming (that what we’re seeing is ‘noise’), there’s something like a 1 in 19.5 chance. Not a lot of difference at all. In fact, if you want to look at statistical trends regarding climate *properly*, you need to examine trends of at least 22 years in length. Because that is the time for one complete solar irradiance cycle. So you see, you can’t just use statistics in isolation. You have to combine statistics with a knowledge of climate science. I will refute the 2nd incorrect assertion that David Whitehouse made in the article in another post, or this one will be tl;dr. So the IPCC actually said, in *2007* no less: “For the next two decades”, whereas David said: “In the past decade”. Huge difference. The IPCC is talking about the future (from 2007 to 2027), while David is living in the past (2000 to 2009). A blatant misrepresentation of what the IPCC is saying. Intentional? Hmm. Please come back to us in 17 years and then we’ll see what the global temperature average is looking like if we continue on with Business As Usual. So with two colossal gaffes like that leading off the article, you’ll excuse me if I didn’t notice all the “subtle nuances” and “clever irony” in the rest of it. Certainly food for thought. Did God forget to set the thermostat 50,000 years ago? Steve Metzler’s posting is a disgrace. Accusing David Whitehouse of deliberately misleading, and that after he sets up an Aunt Sally argument and accuses David Whitehouse of doing something he didn’t. Dirty pool. You owe him an apology Mr Metzler. I believe the answer to Mr metzler’s points are dealt with earlier in the thread of comments and in no way dilute Mr Whitehouse’s point. It is Mr metzler that is misrepresenting the science, though of course he is doing it unintentionally. Apologise for *what*, exactly? Exposing misinformation for what it really is? Please demonstrate, with evidence as I have provided, that anything I have stated above is incorrect. Firstly, point #2 has *nothing to do with science*. It is just a demonstration of how David Whitehouse misquoted (deliberately or otherwise), the IPCC 2007 report. Some eminent climatologists, such as Professor Phil Jones of the University of East Anglia’s Climatic Research Unit, suggest the global annual average temperatures haven’t changed for the past 15 years. Again, that is misrepresenting what was actually said by Dr. Jones. He said that there was no *statistically-significant* warming in that period, but that it only *just missed* being statistically-significant. He did *not* say that “the global annual average temperatures haven’t changed for the past 15 years”. I’ve also explained how Richard Lindzen and Lubos Motl deliberately phrased the question for the BBC so that in answering honestly, Dr. Jones would be made to look foolish to the public. Did you even read the entry on Lubos’ blog that I linked to earlier? So please explain to me how you imagine that my points are dealt with “earlier in the comments”. Could you be more specific? That graph of Smokey’s is interesting, but there is a problem. It shows that since 1950 the solar radiation only fluctuated by the very small, 0.05%, variation seen in the 11 year solar cycle. Thus it cannot be responsible for the warming of the 70’s and 80’s, and so it is illogical to claim that the continuation of that pattern is responsible for any recent change. 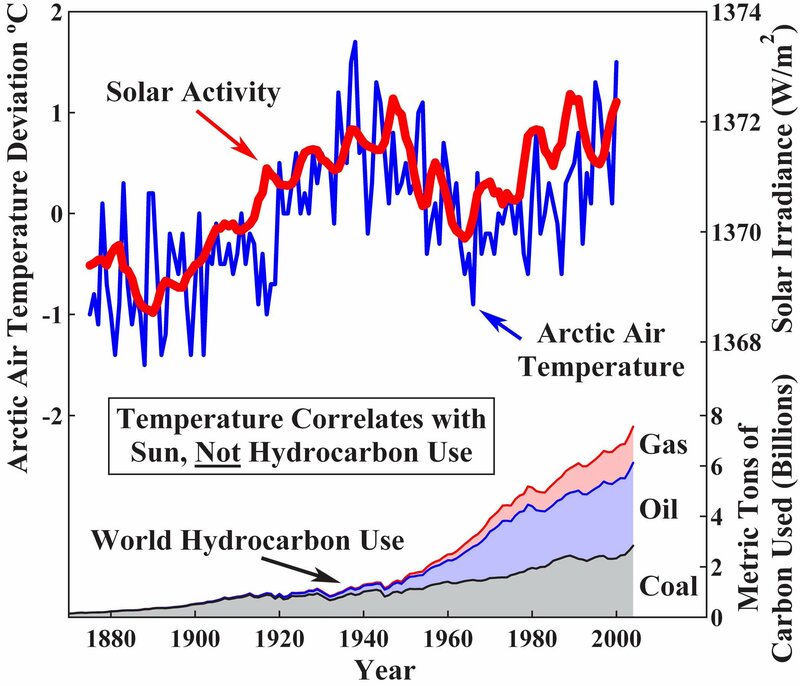 The original paper from which the data in the graph is derived points out that the solar variation is out-of-phase with the global temperature variation. Going back to “no significant warming since 1995” can I point out another logical problem. The trend from 1995 to 2009 is positive but just outside the (entirely arbitrary) 95% confidence level. However from 1994 to 2009 it is within that 95% level, and if you include what there is for 2010, it is again within that confidence level. So are people really going to claim that there was significant warming from 1994 to 2010 but not from 1995 to 2009? Splitting a time series of events into shorter sections and analyzing them separately is a good way to reach misleading conclusions. Quite the contrary, system responses typically have a lag time from input to output. How long does it take water to boil from the time you put the kettle on the stove? I HATE it when I see people applying trend regression confidence intervals, which only have meaning for actual trends corrupted with independent measurement errors, to a complex time series with cyclic and autoregressive components. If you want a trend since “the turn of the century,” here’s one: click. It nicely explains the recent cessation of warming. Trying to pick out the minuscule effect of CO2 is like trying to pick the flyshit out of the pepper. Natural variability completely explains the climate, without the necessity of adding an extraneous variable like CO2. But of course taxing “carbon” is easy; taxing sunlight isn’t. So the alarmist crowd has no choice but to blame CO2 for natural temperature fluctuations. And they have no choice but to ignore the scientific method which, if it were followed, would completely destroy their demonization of harmless and beneficial CO2. So they ignore the scientific method, and go with always wrong models rather than testable, empirical observations and raw data. Yes there will be a delay – but 50 years? Re “95%” , to an extent I agree – this type of analysis should not really be done on a time series which looks like (to first approximation) a steadily increasing term superimposed on a cyclical component. But having said that, nearly all those diagrams which plot a trend over a short part of the sequence (and there are lots of those on this site) are basically meaningless, as was the question to Jones, who should have had the wits to realize it. Make up your mind what the solar activity looks like – the first graph you offered had the activity basically constant from 1950, and I can trace this data to a real scientific publication in Geophysics Letters. Your “click8” graph above plots something called solar activity against arctic air temperature (why just the arctic – the sun affects everywhere), but the solar variation does not have the same time dependence, nor the same magnitude as the first graph. Where did this come from, and have you checked it against an original publication? 95% confidence level? What is this, psychology? Actual physical science operates in the 5-sigma range. That tends to rule out all the data-selection and myriad other biases which so totally dominate “climatology”, the delusional wannabe-science. I’m not suspicious of the balancing situation, David. There is still movement going on. You can still get short up and down trends for the last 13 years, depending on where you take them. But the average is very close to flat. What is remarkable is the inability of the warming community to assign any attribution to the cooling factor that is cancelling the CO2 forcing. Of course no one really knows what the level of CO2 forcing is, but if one uses the IPCC’s estimate of .2C per decade, then one needs to explain what has been masking it. If one can’t do that after the fact, then one is missing a piece of the puzzle that is critical to creating a meaningful model. Re: solar forcing at Maunder Minimum. The solar forcing from these studies works out to be about -0.5 W/m2. Doubling CO2 is +3.7 W/m2 (even Monckton and Lindzen agree with this number). Maybe it makes sense to expect doubling CO2 to have seven times the effect on climate as the Maunder Minimum. This is just comparing the forcings, not adding feedbacks to either. -0.5 W/m2 should only provide about 0.15 degrees cooling without feedback, so it seems there must have been positive feedback if the LIA is to be explained by solar effects, so if that had positive feedback why not CO2? Bottom line: doubling CO2 is seven times the Maunder Minimum in forcing terms. 3. This is too coincidental to be credible. In order for this argument to work, (1) needs to be true. Is it? That’s a lot of different ways of saying no warming. And yet the person whom Whitehouse enlists in support, Phil Jones, says there was a .12C/decade warming trend from 1995-2009. On that count at least, Whitehouse’s argument fails. There are two flaws to this argument. Firstly net CO2-AGW could, through feedback via the water cycle, be very different from that anticipated by the basic ‘forcing’ change. That feedback can be positive or negative. Miskolczi has proposed an absolute control system maintaining constant IR optical depth in which case it’s extremely negative through reduction of the component of OR absorption due to [H2O]. Secondly, the effect of the sun on climate is much more complex than just the simple forcing change. It occurs via variation of cloud cover. To model such events is not easy. We’ll see the results far earlier by the real time experiment! Every link I posted above confirms the natural variability of the climate. CO2 is such a small bit player that it can be completely disregarded; its effect is too negligible to measure. I posted those graphs for your benefit, because you complained that “since 1950 the solar radiation only fluctuated by the very small, 0.05%, variation seen in the 11 year solar cycle. Thus it cannot be responsible for the warming of the 70′s and 80′s…”. Solar is not the only forcing; it is one component of climate variability. Each graph I posted had different starting dates, going back to the early 1800’s. None began in 1995, because you complained about that date. I have plenty more charts showing the same thing, all you have to do is ask for them. But first, answer the question, if you think you can. Use testable, empirical evidence, not GIGO computer models or conjectures. Show that the current temperatures are not due to natural variability. Base your answer on the scientific method, paying attention to Popper’s dictum on testability. Avoiding answering questions here simply shows you have no credible answers. And cherry-picking 2 out of ten charts to [incorrectly] argue about is not adequate; you will have to show why every one of them is wrong — and then I’ll provide you with a few dozen more showing natural climate variability; the cause of current and past temperature fluctuations. I’m not sure what you mean. I think the records clearly show that catastrophic “climate change” were really the ice ages. There was no food to keep animals larger than 44 kg alive. Global warming is not bad. Not catastrophic, in any case. Did you read my blogg? Global warming eventually must cause more evaporation (because 70% of earth is water) which causes more clouds which causes more rain which causes more plants to grow, if there is enough carbon dioxide. If you think about it long enough, then water and carbon dioxide are like your mother and father. The rest is….? You say co-incidence? To prevent ice ages you must prevent the snowcover from widening. In an ice age, instead of earth absorbing the heat from the sun, snow is reflecting the sunshine. I think there are or there will be simple techniques, like covering snow with carbon dust, to prevent earth from falling back in the ice age trap. As can be seen, all four series show a continuing increase in average global temperatures from the 1980s through to the present time. David Whitehouse’s article is based on a false premise – it’s as simple as that. Unless I am missing something, your numbers for Hadcrut from 1995 to 2009 in 5 year intervals: +0.322, +0.413 and +0.416 just do not add up to what Phil Jones said about the interval from 1995 to 2009, namely that the trend was +0.12. (For argument sake, I am quite prepared to accept this as true and not deal with the significance aspect.) 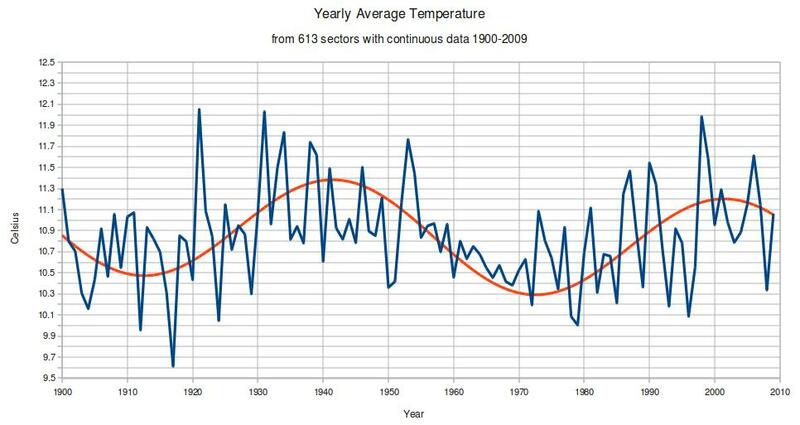 Phil Jones was also asked about spikes in the temperature record, and all spikes were very similar at 0.16, with the steepest spike being from from 1975 to 1998, a 24 year period, and having a value of 0.166. Steve Metzler says above: “In fact, if you want to look at statistical trends regarding climate *properly*, you need to examine trends of at least 22 years in length.” Fair enough; this time of 24 years meets that requirement. indicates the actual increase in CO2 is linear. So if the effect of added CO2 is logarithmic, the projected increase in temperature would be much less than for the maximum 24 year period over the last 130 years. So the bottom line is that the projected increase of 2 C over the 1750 level is AT LEAST a century away. We have lots of time to adapt, if necessary. Nice data trick. Now, show the sliding average, and your aliasing problem will go away. Four temp records all show warming trends (2000 – 2010 Sept/Oct). I’ll certainly be out there with my blow torch as we continue plummeting into the next ice age. I would like to see the science that says responses to solar forcing and CO2 forcing can more than compensate for the factor of seven difference, or even that one forcing can have positive feedback while the other has negative feedback. If clouds, water vapor and ice cover are the main feedback players in both cases, how would they care by which mechanism the earth is being warmed? Did anyone explain why the 0.5 W/m2 we got coming out of the Maunder Minimum gave us about 0.5 degrees warming? Seems like a feedback factor around 3 was in play, which is very much like the one proposed for CO2. you would have noticed that I donot the deny the possibility that there is some warming caused by human activities. I just don’t believe it is the carbon dioxide doing it. There simply is no evidence for that. You made a joke of it, but removing snow is actually one of the human activities that could be a cause of global warming: the snow on the roofs and streets is quickly removed with heat and salt whereas normally it would stay for days or weeks on end deflecting light from the sun. Thus, something that people do naturally is in fact acting against nature. Now did anyone actually calculate how much “forcing” this forced removal of snow causes? Good point Henry. I wouldn’t be at all surprised if nobody has made that forced removal of snow forcing you mention. They’d have to account for artificial snow blowers in that calculation of course. I personally think the climate models have underestimated the albedo forcing of male pattern balding in northern europeans myself and will be writing to James Hansen to express my concerns. I think you’ve hit the nail on the head, in a manner of speaking, with northern hemisphere human male balding acting as a negative forcing helping to cool the Earth. I just wonder if the fashion for men not to wear hats any longer might have been part of the conspiracy and fully expect to see an article in WUWT about the subject in the near future. My own particular concern is the increasing trend for shepherds to breed in more white into their black and white collie dogs. Shepherds have always needed collies with both black and white bits in order to be able to see them more easily. The black bits show up in the snow and the white bits in the dark, so they can see them in both conditions, but with less and less snow there isn’t so much need for the black bits anymore and collies are becoming whiter. Anyone who has stroked a collie dog lying in the sun (I do it all the time) will have noticed that the black bits are hot and the white bits cold. Thus, this change to whiter collies means less solar radiation is being absorbed and therefore acts as a negative forcing countering global warming: global warming leads to less snow, which leads to whiter collie dogs which leads to cooling. I must say I’m surprised David Whitehouse didn’t include this collie dog albedo effect in his treatment of his “Mirror Image” problem. Tamino has a post in response to this WUWT article. I tried to reply to comments by Steve Meltzer, who posted there the same comments as above here. The IPCC report of 2007 used temperature data up to the year 2000. Climate model projections are from the year 2000. Hence “For the next two decades, a warming of about 0.2°C per decade is projected” refers to the period from the year 2000. The first decade of temperature has failed to reach this projection. I should have known better, but I was disappointed Tamino didnt publish my comments. well, I did not know who or what Tamino was, so I had a look. but they wiped that off as well. they must have read it! Same thing happens at Climate Audit, Sceptical Science etc. and then you come back to me with the reason as to why you think they do this. And since they also mention 1990 – *2005* in the previous paragraph, there’s no way they are starting their “next 2 decades” retrospectively back in 2000. It’s just that both yourself and Whitehouse desperately wish it to be that way, so you can put your negative spin on it. Distort, cherry pick, and quote mine away. When there’s no science behind what you are saying, all you have left is spin. steve, your vitriol is entertaining but delusional. Now you have given 2 separate answers 2007-2037 and 2010-2030, and they are both wrong. The 2030 date you refer to is the period of time which warming is independant of emission scenarios. The 1990-2005 projection refers to the first IPCC report. As your reference page clearly indicates in Figure SPM5 of the IPCC report, all projections commence from the year 2000. I suggest you look at Lucia’s Blackboard which runs a series of statistical comparisons between real temperature data from 2000, and IPCC model projections of 0.2C/decade trends from 2000. They fail. oh and I agree with you that there is no science behind this. Only in the alternate reality that some people here inhabit could “for the next two decades” (written ca. 2007) be misconstrued to mean: “for this decade and the next decade”. It’s pretty clear from the subsequent text that they mean 2010 – 2030. I’m not going to entertain your ridiculous notions any longer. steve, you deny your own evidence. for anyone interested in IPCC projections, Figure SPM5 graphically illustrates projections of a minimum 0.2C per decade from 2000. I cannot believe how anyone in their right mind can believe that an increase of 20 ppms in Co2 can possibly have any influence on climate. They (the IPCC) missed the increases and decreases in water vapor in last three decades (that most probably caused the current warming and subsequent levelling or slight cooling ) and they missed that besides water vapor, oxygen also has an overlap common to CO2 (@14-15 um). They took 1750 as a point of reference and then determined the “forcings” by looking at the increase in GHG’s versus the observed global warming. But… that is looking at the problem from the wrong end. Before you can do that, you must first prove to me that the net effect of more CO2 in the atmosphere is warming and not cooling. The warming has not stopped. 2010 has ended up being the warmest year on record. REPLY: Gosh, the year isn’t over yet, November and December data isn’t in yet, and yet you KNOW that “2010 has ended up being the warmest year on record”. Heh, great science there bub. This is a candidate for quote of the week. So that I can properly attribute it, what’s your name?